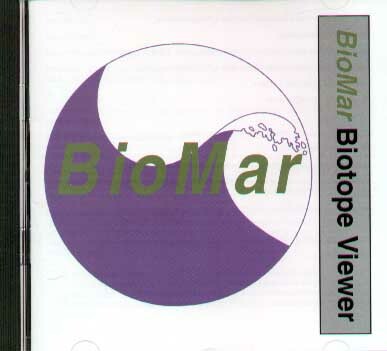 The CD-ROM contains the complete British Marine Life Study Society web pages including hundreds of photographs plus tide tables and other information. The information on the Glaucus 2000 CD-ROM is suitable for PC computers only and will not work properly on Apple-Macs. 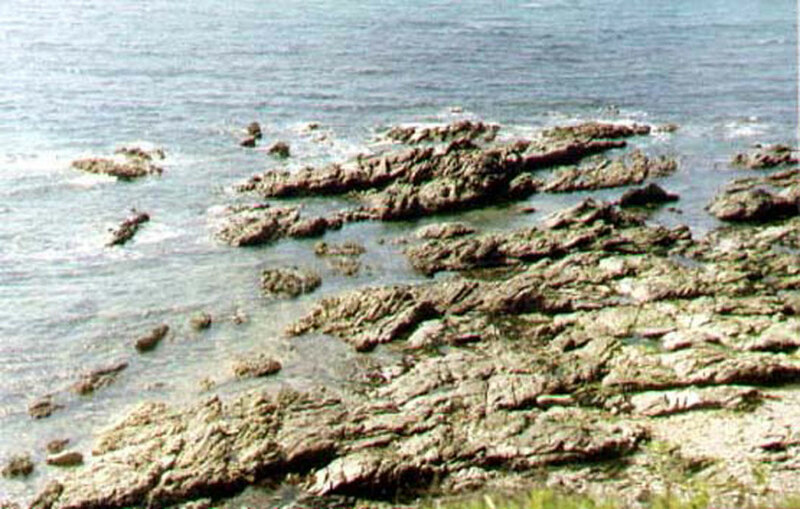 Richard Lord also reported Compass Jellyfish from L'Ancresse Beach, on the north coast of Guernsey. There was an Evening Argus report of a large jellyfish off Worthing, Sussex. The photograph was not clear enough to be sure of its identity, but the most likely candidate from the photograph was the harmless Barrel Jellyfish, although it could have been the the venomous Lion's Mane Jellyfish. brown gunk, identified as non-toxic vegetable oil. Two divers, one of them a commercial fisherman, came across an unrecognised shark lying stationary on the bottom near Alderney in the Channel Islands. It was over a metre long and it was not any of the common shark species normally found around the islands. The divers were able to have a close look from a distance of three metres. 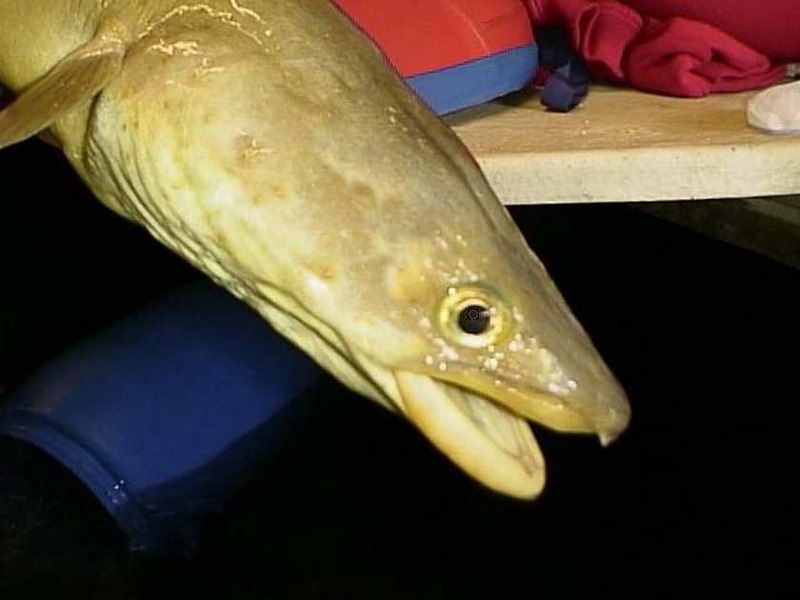 They have ruled out both the common dogfish species, Scyliorhinus sp, the Spurdog Squalus acanthias and either of the Smoothhounds, Mustelus sp. They looked in the book and came up with unlikely match of the Nurse Shark, Ginglymostoma cirratum. They said the shark remained motionless on the bottom. It had large pectoral fins that were triangular (making a 45 degree angle to the body anteriorly, and a 90 degree angle to the body posteriorly. 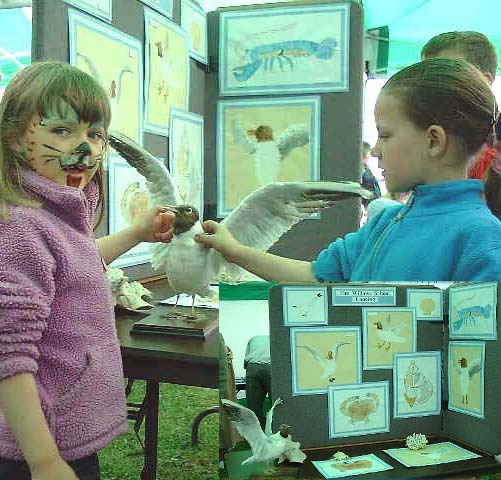 The shark had a broad snout (semi-circular) and a flat head. The shark had two small dorsal fins with the first larger than the second. The divers could clearly see the nostrils and spiracles but no flaps. The body appeared dark grey with no markings. This tropical species has never been recorded in British seas although Gerald Jennings (Calypso Publications) reports a record from Portugal. Numerous Sunfish, Mola mola, were seen off the coast of Cornwall as is usual during the summer months. 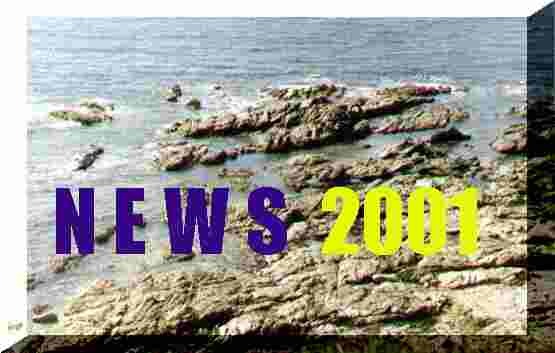 One was discovered in the Hayle river estuary near St. Ives where it was reported breaching in a large rock pool. On 13 July 2001, nine Sunfish were seen off Pentire Head, Cornwall (SW 936814) between Rumps and Mouls. On 27 May 2001, despite the rough weather, a Sunfish was spotted by anglers on a boat about half an hour out from Lyme Regis, Dorset, and reported by Tom Parker. A large (15 kg) Stingray, Dasyatis pastinaca, caught off Helford, Cornwall was landed at Newlyn. A small (15 cm) Marbled Electric Ray, Torpedo marmorata, was caught in a crab pot off Freathy, Whitsand Bay, south-east Cornwall. Both fish are quite rare for the south-west. 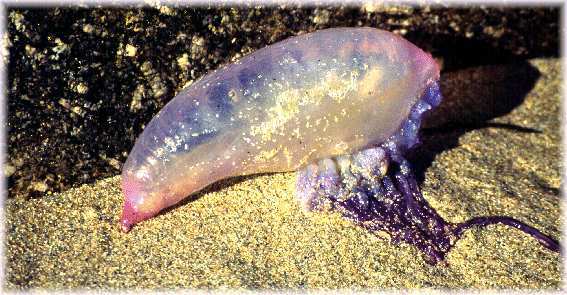 Portuguese Man-o'War, Physalia physalis, were sufficiently numerous off Bordeaux, north-east coast of Guernsey, Channel islands for the Police to publish a warning to bathers. An Oceanic Pufferfish, Lagocephalus lagocephalus, was discovered washed up on the surfline by a holidaymaker on Towan beach, near Newquay, on the north coast of Cornwall. At first the fish that was over 30 cm long seemed to be dead, but it recovered after being placed in a rockpool, and was eventually taken in a plastic shopping bag to the Blue Reef Aquarium at Newquay where it quickly recovered, and began swimming around with rays and other fish in a large display tank. This was a very unusual discovery in British seas. The last confirmed discovery was in 1973, but there have been a few unconfirmed reports since then. It is a worldwide pelagic species in all the warmer oceans, and inhabiting the open Atlantic and rarely comes inshore. The Pufferfish is named from its ability to inflate into a large ball when threatened. The London TV news reported the presence of an adult Bottle-nosed Dolphin, Tursiops truncatus, in the Thames near the Tate Modern Gallery. From the film footage the dolphin appears reasonably 'fit' at the moment and quite active. It was over 3 metres (11 ft) long. Unfortunately, on 7 July 2001, the dolphin was found dead and this was the fate of a previous porpoise spotted in the Thames by the Houses of Parliament. The post mortem indicated that the dolphin was an old female with only three teeth and had reached the end of her natural life span. Three Killer Whales, Orcinus orca, were observed around the mouth of Cork Harbour, Ireland. The group comprises one very impressive bull with an equally impressive dorsal fin and two smaller adults, presumably females, although some observers have mentioned a fourth animal. A mantis shrimp, Rissoides desmaresti, has been found in Lyme Bay. The specimen was captured by a local fishermen in a trawl net. The specimen was around 85 mm and was captured with a good haul of cod which were feeding upon the mantis shrimps. Under the Conservation of Seals Act 1970, the Natural Environment Research Council (NERC) has a duty to provide scientific advice to government on matters related to the management of seal populations. NERC has appointed a Special Committee on Seals (SCOS) to formulate this advice so that it may discharge this statutory duty. 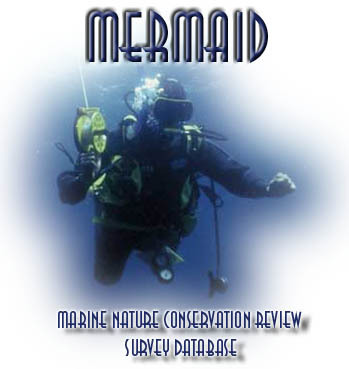 This document is available as a *.pdf electronic file, readable using Acrobat Reader, from Peter Haddow of the Seal Conservation Society. 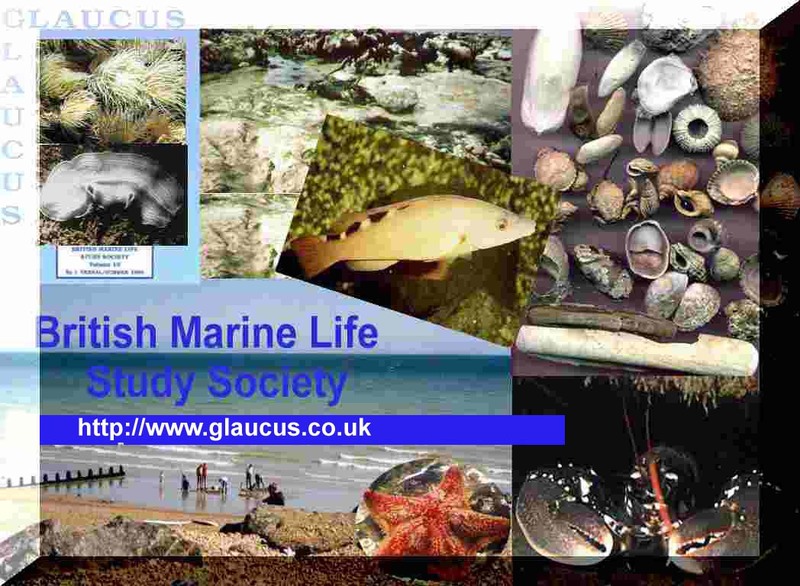 BMLSS members can request a copy from Glaucus House. 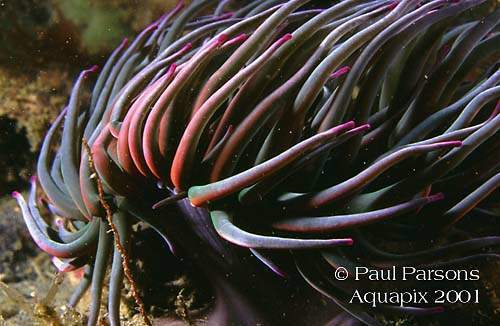 This clear photograph of the Snakelocks Anemone shows a bright red tinge on the tentacles. Does anybody know the reason for the red or the common purple tips found in the green specimens? Is it connected with the symbiotic algae call zooxanthellae? The strangely coloured marine eel was hauled from the depths off Cornwall and brought into the Blue Reef Aquarium at Newquay. It is certainly a Conger of some sort, but is it the Common Conger Eel, Conger conger ?